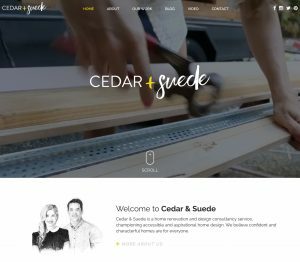 Hi, I’m a Gold Coast web designer, developer and SEO specialist. I live on the sunny GC, Australia, where I graduated, receiving 1st Class Honours in a Bachelor of IT at Griffith University in 2004. Since graduating, my craft has taken me around the world, from building high end digital productions in the UK, through to niche sites for small, local businesses. My work has landed me back on the Gold Coast where I now run Thrive Web Design Gold Coast , a boutique web, digital design and development studio. Thrive consists of a tightknit team of like-minded, creative professionals, and we are always on the lookout for projects – large or small – so please contact us if you need our expert services. 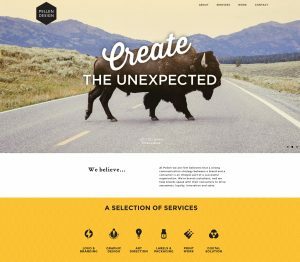 We not only love creating unique, clean, custom-designed websites that are easy to navigate, we can also provide branding solutions, print packages and a myriad of other digital strategies. Please peruse our portfolio where we have a small selection of our more recent work. 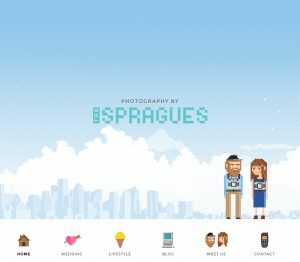 The Spragues are Boston based photographers who we have been working closely with for several years. With free reign to create an exciting new brand for their family based photography team, we had so much fun coming up with their pixel landscapes, portraits, and branding that stays well away from standard trends of the design industry. Michael and Carlene are the dynamic husband and wife duo from Chanel Nine’s The Block. The couple came to us in need of a fun, social, and inspirational forum in which their followers could be updated on their most recent projects and where they would source and secure new work! Pollen are a local Currumbin design team who specialise in design, branding and marketing solutions. Coming to us in need of some help with self promotion, we were happy to help with a bright and unique web design to push up their online marketing to the next level! 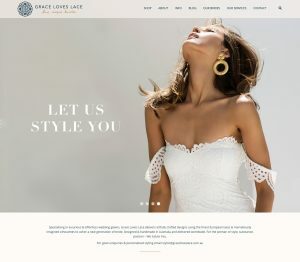 Grace Loves Lace is a beautiful bridal and occasion wear e-commerce store which has recently undergone a full rebuild. With a retina ready display, unique gallery systems and fully responsive web design, this site can be viewed brilliantly on both large and small devices. 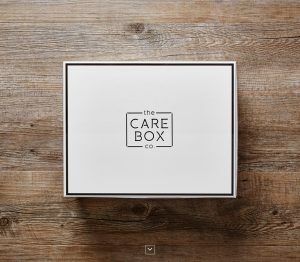 The Care Box Co. is an online store that sells unique specialised “care boxes”. With some impressive scrolling tricks and beautifully photographed products, these gifts sell themselves. 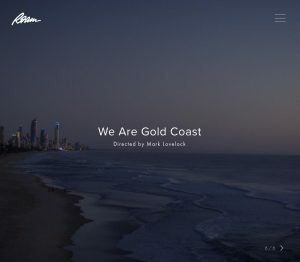 This Gold Coast based film studio works with clients such as Brisbane Lions, Brumby’s Bakery, and Gold Coast Tourism to name a few. Roam contacted us in need of a complete site redesign to showcase their portfolio. We created a neat and simple design that allows users to navigate throughout Roam’s portfolio and view their work with ease! 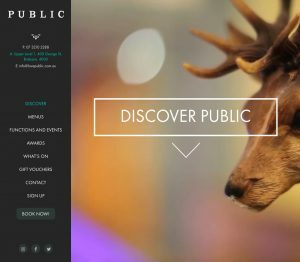 Public is a high-end restaurant in Brisbane’s CBD who were looking for a sleek, simple scrolling website. With awesome features like high definition HTML5 video loop, fixed backgrounds, and fully responsive web designs, this site creates a crazy dynamic user experience! Feel free to email me contact@deanoakley.com, call our office on (07) 55 35 00 63 or use the form below. Our web design studio is located at 71 West Burleigh Road, on the Gold Coast.